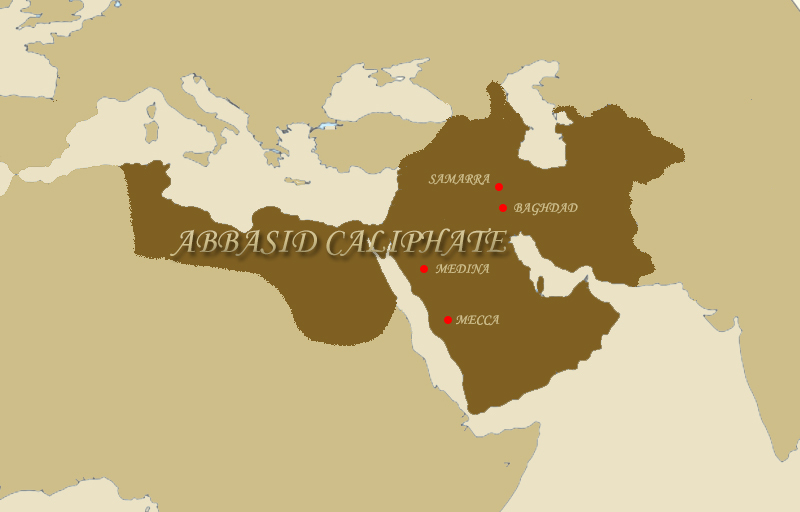 Ruled as the 5th Abbasid Caliph (r. 785 – 809), Harun al-Rashid ibn Muhammad al-Mahdi (763/766 – 809) presided over an explosive era of great achievements for the Islamic civilization, but his reign also began the decline of the Abbasid Caliphate. Born in the city of Rayy in 763 or 766, Harun al-Rashid was the son of the 3rd Abbasid Caliph al-Mahdi (r. 775 – 785) and his wife al-Khayzuran, a freed Yemeni slave who had a strong and ambitious personality. His mother demonstrated great influence and charisma that paved way to Harun’s rise in his father’s eyes. During his teenage years, he officially led 2 campaigns against the Byzantines that brought them to the coast of the Bospurus, even though most of this military success came from the skills and brilliance of his generals. The attack on the Byzantines led to the signing of a favorable peace agreement where the Abbasids received tribute payments. For his successful military expeditions, he became the governor of several rich provinces. This included Ifriqiya (Northern Africa), Egypt, Syria, Armenia, and Azerbaijan. His governorship proved to be successful, much to the credit of his tutor Yahya al-Barmaki who actually administered the government on his behalf. In 785, his father Caliph al-Mahdi passed away. Harun’s mother al-Khayzuran failed to make changes in the succession in favor of Harun before the late Caliph passed away. As a result, his older brother from another mother, Musa al-Hadi, came to power. Off course, the new Caliph mistrust Harun. But luckily, the new Caliph only ruled for less than a year before passing away. Some speculated al-Khayzuran poisoned the deceased Caliph, but she did forced the Al-Hadi’s son to renounce the Caliphate in favor of Harun. Alas, at his 20’s, Harun ascended as the Caliph of the Abbasid Empire. Much of Harun al-Rashid’s reign was influenced by his mother al-Khayzuran, who remained a powerful figure until her death in 789, and his tutor Yahya al-Barmaki and his family the Barmakides. Yahya al-Barmaki took the powerful position of Vizier and his clan took over much of the civil apparatus managing it efficiently and contributing to the prosperity of Harun’s reign. Besides effective administration, economic activities remained robust. Trade continued to flourish as the Silk Road bustled with traders travelling from the wealth of Tang China to markets of Europe and Africa. Within the Middle East itself, textile, paper, metal among others grew in value and became part of goods traded along the rich route. The wealth coming from trade financed the explosive progress in the arts and sciences. A golden age of Islamic Civilization dawned. Harun himself showed great enthusiasm towards scholars and artist. He patronize literature resulting to great works from artist like Abu Nawas. The Arabian Nights displayed the literary brilliance of the Islamic Golden Age. Despite showing Harun as a ruthless leader, it exemplified the wealth and opulence of the Abbasid court. Harun’s support for intellectuals also led to research and discourse that gave rise to new schools of thought like Abu Hanifa’s legal school that helped in the administration of justice within the Caliphate. On the subject of patronage, Harun’s wife Zubayda also shared his husband’s enthusiasm for innovation. One of her charitable projects included the construction of a water system for pilgrims conducting the Hajj or the pilgrimage to the city of Mecca. This benefited many Muslims as well as Harun during his 10 Hajj that he did during his lifetime. Harun’s reign also showed great achievements in diplomacy. He formed a great bond with the Holy Roman Emperor Charlemagne. Both rulers opposed the Umayyad led Emirate of Cordoba in Spain. 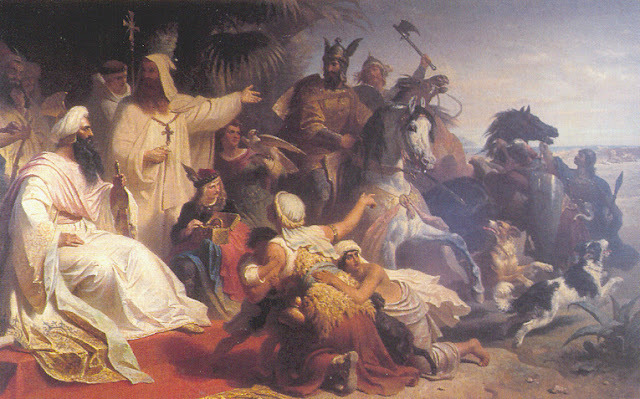 Harun agreed also to secure the welfare of Christian pilgrims to Jerusalem upon the request of the Holy Roman Emperor. He also sent tokens of friendship to the European leader which included an elephant and water clock. In religion, Harun leaned towards the Sunni as Alids of the Shia sect who rebelled and condemned the Abbasids as usurpers. Despite being descendants of the uncle of the Prophet Mohammed, the Abbasids only claim to power was that the declaration of a descendant of Ali to the Abbasids his claim to the Caliphate and they belonged to the same clan, the Hashemite, as the Prophet. Thus, their claim fit more of a Sunni rather than Shias who believed that the Caliph should be a descendant of Ali ibn Abi Talib, the 4th Caliph. Militarily, the Abbasids made few advancements under Harun al-Rashid. Much of the military actions worth mentioning included naval attacks on the islands of Cyprus (805) and Rhodes (807). Foreign wars remained few because much of the military mobilized to secure the internal affairs of the Empire. Several revolts sprang out under Harun. Syria revolted in 796. Egypt did the same twice, first in 788 and another in 794-795. Northwest Africa did plenty, in 786, 794-795, and another in 797. Yemen also had a long revolt that raged from 795 – 804. Besides rebellion, Harun also saw the rise of regional lords. It meant regional rulers having full control over their territory but remained nominally under the dominion of the Abbasid Caliphate. Local rulers achieve this as long as they paid tribute to Baghdad. The case of Ibrahim ibn al-Aghlab who took over Ifriqiyah (North Africa) in 800 became one of the earliest to rise in power. Alongside rebellions, Harun’s caliphate took the soured when he turned against his longtime allies, the Barmakids. Yahya al-Barmaki served as his vizier and his son Ja’far Barmaki even became Harun’s closest confidant. According to legend, Harun allowed his sister Abbasah to marry Ja’far under the condition the marriage should not be consummated. They failed, Abbasah became pregnant and in response Harun had his friend executed in 803. However, many believed the real reason laid in jealousy. Harun coveted and feared the wealth and the influence of the Barmakids. He had his former teacher Yahya al-Barmaki arrested and his sons killed or imprisoned until dead. Their wealth went to the coffers of the Abbasids. The Barmakids’ fall, however, also signaled the rising factionalism within the Caliphate court. The Barmakids led a faction of Persians in the court opposed to the Arabs led by the new Vizier al-Fadl ibn al-Rabi, an ally of Harun’s Arab wife Zubaydah. The Barmakids seemed to be a fatality of court intrigue. Division within the court, however, spilled over the succession. The fallen Barmakids supported Prince al-Mamum, son of a former Persian slave girl and tutored by a Barmakid scion. On the other hand, Prince al-Amin was the son of Zubaydah and tutored by Vizier al-Fadl ibn al-Rabi. Harun knew the divide in the court and among his sons. In his deathbed in 809, he attempted to prevent civil war and internal strife by willing to divide the Empire between his 2 sons. His hope of peace, however, went in vain. After his death, Al-Amin ruled as Caliph but soon faced opposition from his brother Al-Mamun. The sibling rivalry led to a full scale civil war called 4th Fitna. The Fitna fragmented the Empire and factionalism plagued the Caliphate ever since, ultimately weakening it and started its decline. Atassi, A. Nazir.”Harun al-Rashid.” In Encyclopedia of Islam. Edited by Juan E. Campo. New York, New York: Facts On File, Inc., 2009. Gunther, Sebastian. “Rashid, Harun al.” In Encyclopedia of Islam and the Muslim World. Edited by Richard C. Martin et. al. New York, New York: Macmillan Reference, 2004.